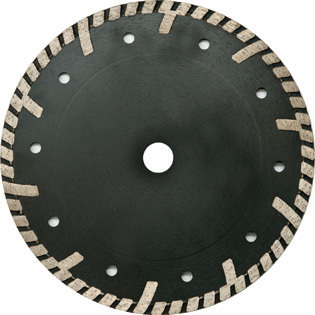 The Diamond Saw Blade is universal dry and wet cutting blades. Turbo segment of the Stone Blade are for better cooling and better dust removal, the deep segment style of Stone Cutting Blade can well protected the blades from undercutting.The wave steel core of the Granite Blade can improve blade rigidity, reduces friction, avoids wobbling during cutting and is better removal of filings.The diameter of Sinter Hot-pressed Stone Turbo Blade is from 4inch to 14ch. We can supply other types of Stone Tools with good quality. Each blade are packaged by a separated box, 5 pieces or 10 pieces are in one carton. Looking for ideal Premium Turbo Waved Saw Blade Manufacturer & supplier ? We have a wide selection at great prices to help you get creative. All the Sintered Waved Cutting Disc are quality guaranteed. We are China Origin Factory of Turbo Blade with Deep Segment. If you have any question, please feel free to contact us.